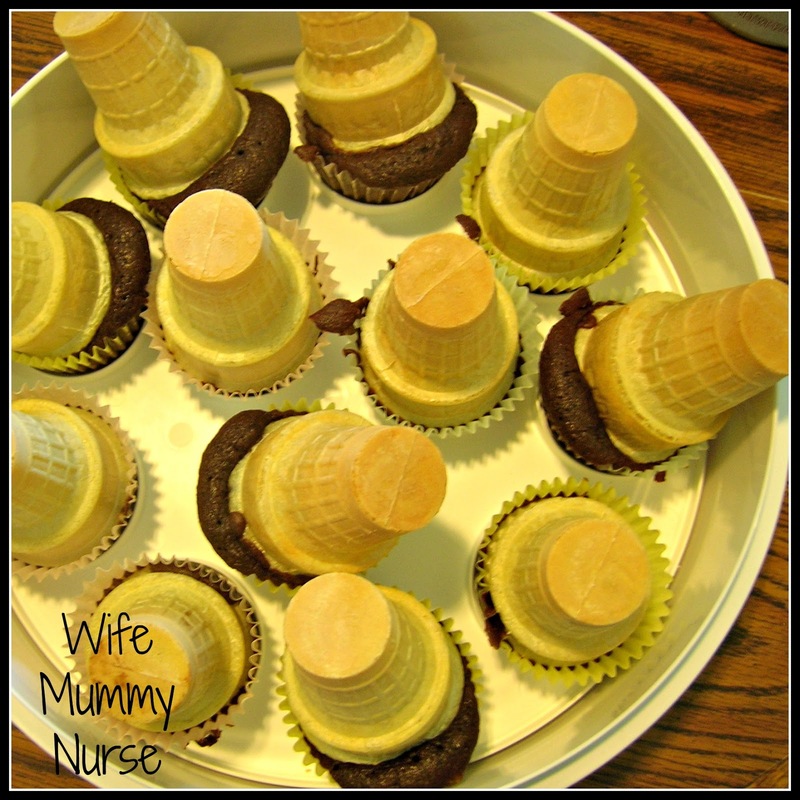 Every year I was at school, my mum would make ice cream cone cupcakes for my class. 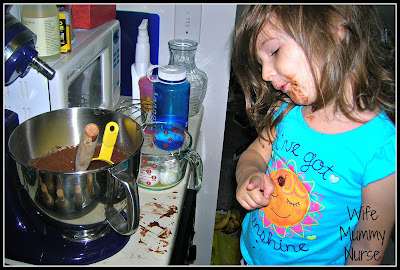 I would often help her, but the one thing we constantly had trouble with them tipping over before baking them or while they were baking, which caused a mess with the cake batter. When I looked at Betty Crocker's site for making ice cream cone cakes, I was so excited to see the recommendation from Betty Crocker to place liners in a muffin pan and insert ice cream cones upside down on the batter. I thought, "These should not fall down. I need to try this." I decided that Charis and I would make these on Saturday. Last Tuesday, we bought a chocolate cake mix, chocolate icing, and muffin liners. 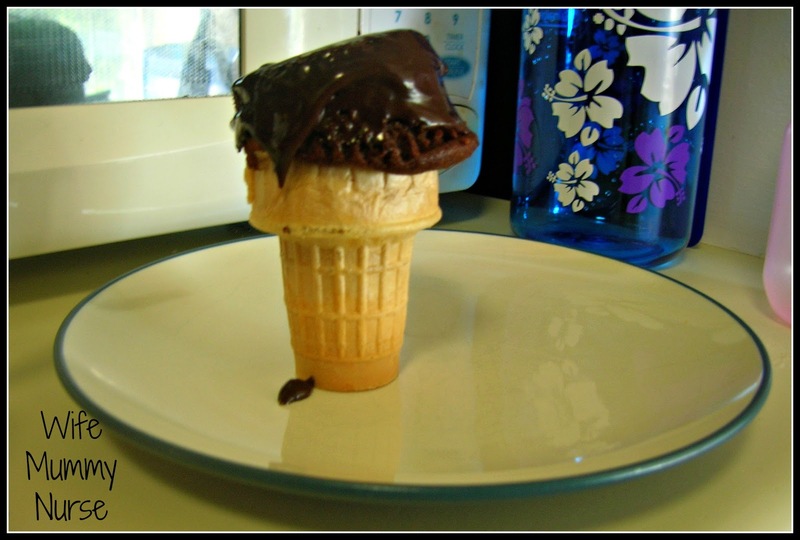 All week Charis had been asking if we could make the ice cream cupcakes, and everyday I told her, "We'll make them on Saturday for the fellowship meal after church on Sunday." Saturday finally came. We gathered all the ingredients together and followed the easy step by step directions. Please ignore the messy counter. My daughter "helped" put the batter in the liners. Someone decided to help herself to eating the batter. The final product. Perfect with a cup of coffee. 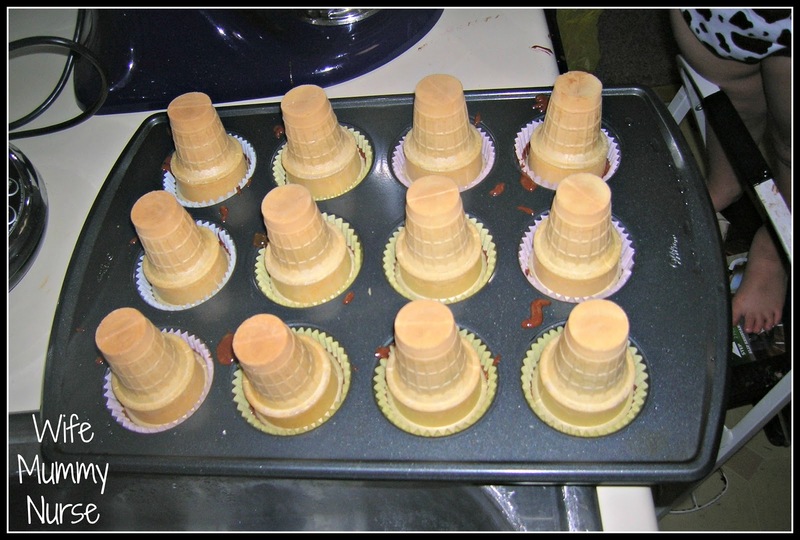 With Drew's birthday in less than 2 weeks, I look at Betty Crocker's site for further suggestions on summer birthday cakes. What cakes do you make for summer birthdays or outings? Have you every tried baking ice cream cone cakes? I cannot wait to try that recipe! Yum! 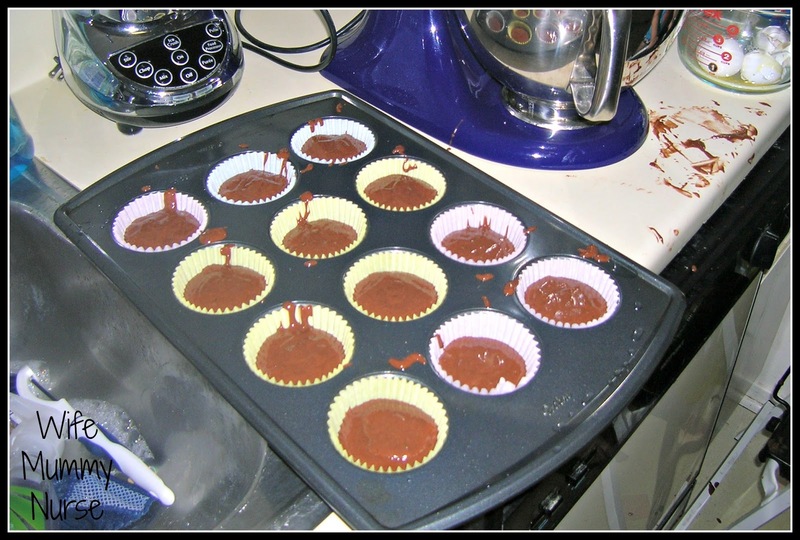 Much easier than trying to peel cupcake liners off of a party-full of kids' plates. You're making me want to go bake some dessert! Looks like a fun treat!